Established to maintain, preserve and restore our beloved lighthouse and consists of members from Greene and Columbia counties, mainly. This organization was established to provide a way for individuals to become actively involved in the museum development and the preservation of the historic Hudson-Athens Lighthouse. The Lighthouse society is responsible for the restoration, preservation and operation of the lighthouse but the lighthouse beacon remains the responsibility of the U.S. Coast Guard. 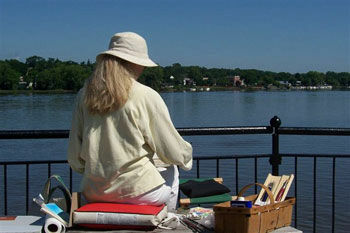 New memberships and donations are critical for the continued preservation of this historical Hudson Valley Treasure. The Hudson-Athens Lighthouse is a Second Empire architectural style lighthouse located in the Hudson River between Hudson and Athens, New York. In 1967 Governor Nelson A. Rockefeller established the Hudson River Valley Commission to explore possible uses for the Hudson River Lighthouses. The Commission recommended that the Coast Guard deed over or lease the facilities to public or private not-for-profit groups. These groups would then rehabilitate, maintain and operate the facilities for public benefit. It wasn't until 1982 that a local group would seriously attempt to follow through with the recommendations of the Hudson River Valley Commission. At that time a group of citizens from Columbia and Greene Counties formed the Hudson-Athens Lighthouse Preservation Society. A landmark lease was signed on February 15, 1984. The 20 year lease was between the Lighthouse Society and the U.S. Coast Guard. It was the first lease signed with a government agency and a private group for a Hudson River Lighthouse. The Lighthouse Title was transferred as part of the Congressional Appropriations Act of 1999. 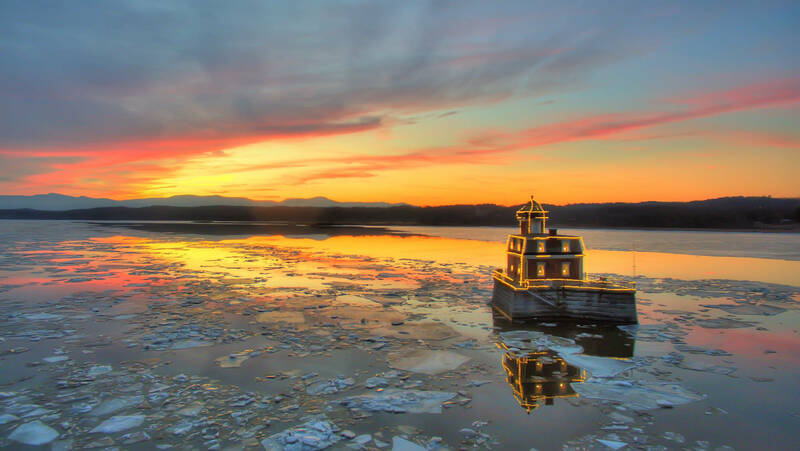 The U.S. Coast Guard officially transferred the deed to the Hudson-Athens Lighthouse as of July 3, 2000 making the members of the Hudson-Athens Lighthouse Preservation Society its sole owner. 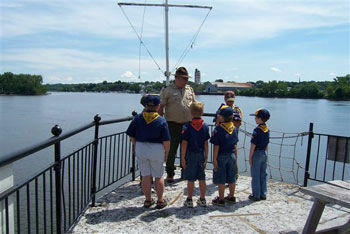 Our mission is to continue to preserve this historical treasure and educate and enthuse new generations about the magical history of the Hudson River and its ports. To maintain the lighthouse museum which is chartered by the State of New York. To collect and display at the lighthouse artifacts that tell the history of the lighthouse as it relates to Hudson River history and river navigation. To provide seasonal access to the lighthouse for the public. To preserve and restore the integrity of the structure which is a registered National Historic Place. 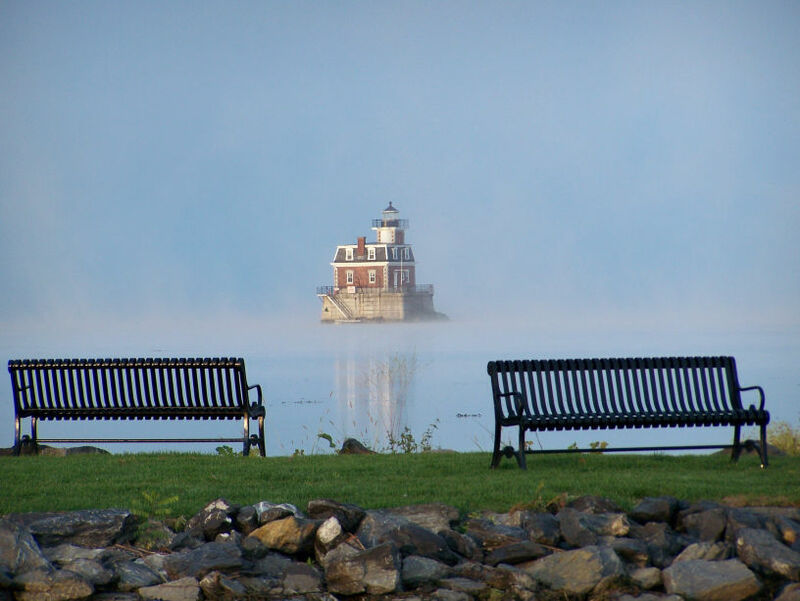 The Hudson-Athens Lighthouse Preservation Society is an organization open to every person interested in researching, preserving and sharing the historical information about the lighthouse as well as working to preserve the structure. There are many ways in which you may become an active member. Your dues helps to pay for the cost of operational expenses: insurance, electricity, boat repairs, boat storage, mailings, and publicity. 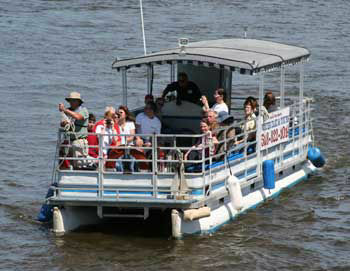 - to assist with regularly scheduled and special event tours. - to assist with fund raising events, sales, grant acquisitions, and general administration duties. - to help with house maintenance. - to give land based presentations to organizations and to write press releases. - to serve as officers and on the Board of Directors. If you would like to help the Hudson-Athens Lighthouse Preservation Society but you do not wish to become a member you can Click Here to Donate. All donations and membership fees are tax deductible.